Sometimes dinner is dinner and other times dinner is… well, can’t it just be dinner? Woomatch thinks so. With enough dating sites around for tastes of all varieties, the need online for a network of people – friends and strangers – looking to meet just for the sake of sharing fun activities has yet to be filled. Woomatch hopes to fill the gap by helping their members meet people with similar interests. They’re also keen on making it easier for people to organize sporting events, travel, dinner, and other activities. Woomatch is all about connecting people in real life via fun activities. Are you looking to do something and meet new people near you? 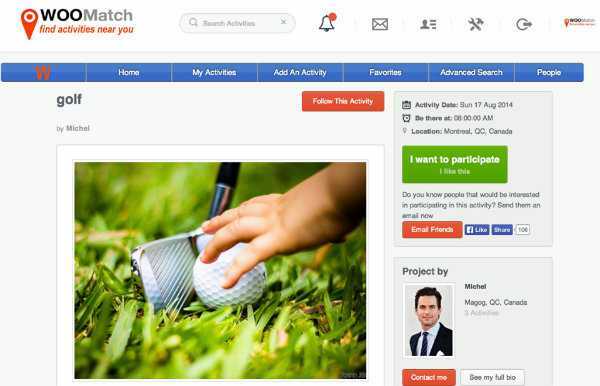 Browse or post an activity and meet woomatch members in your area. Woomatch is focused on connecting people with similar interests so they can go out and meet. Other websites are mostly made for dating. 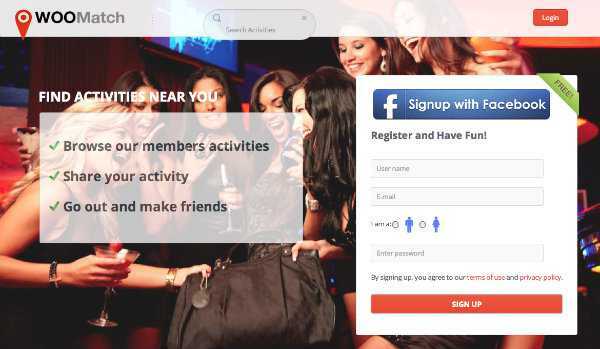 Woomatch is not a dating site, but a place where people can meet members in their area via activities. We took a name that can be easily remembered. I was 10. It was an Atari. No internet back then. I was at the university level when I first heard of the internet. I work at night around 5pm and finish around 8pm. On Saturdays when I’m not working. Started with 2 people and we still have 2 people. Well, learning Ruby on Rails was the hard part. Well… first thing I do is Google. I feel better instantly knowing I’m not the only one with the problem. No music, no videos, no games. I work silently. Would love to have an office on the beach. We do everything in house so we have very low costs. Marketing funding will eventually come via private funding. Start small and be positive. Just start… Problems will come later. Give the 500k to people who can’t afford to buy food. Having people that love the website makes me feel successful. We started 3 weeks ago and already have more then 300 members. Where else can our readers find you online?